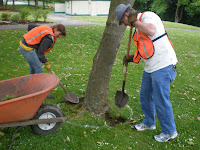 We are a committee of the Lowell Civic Association in Everett, WA. 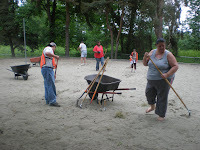 This is the story of our local park, Lowell Neighborhood park. The first and, for now, only pesticide free park in Everett. 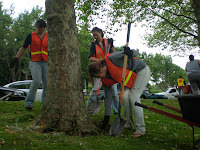 Above photos are from our first clean up day in June of 2009. 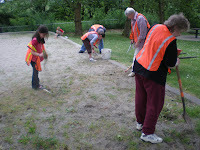 We had close to 20 volunteers from all parts of the neighborhood. 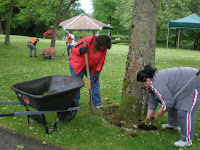 Special thanks to Everett Gospel Mission for their hard work and amazing members!